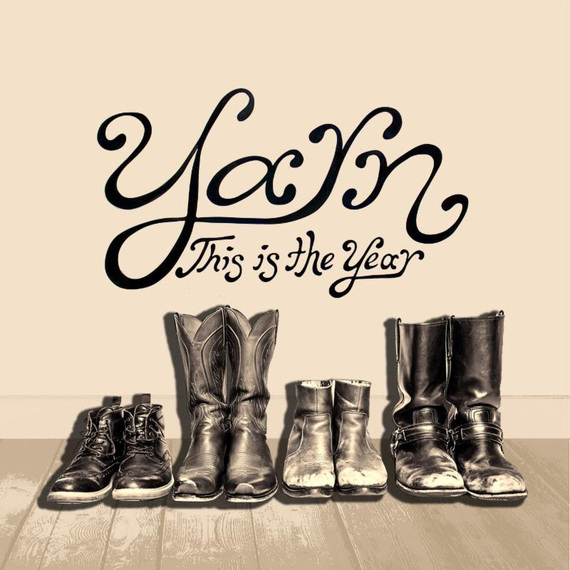 Fans of North Carolina-based Americana band Yarn can hardly wait for the band's latest record, "This Is The Year," set to be released May 27. I discovered Yarn at Rooster Walk Music and Arts Festival four years ago, and they had me at their hit "Annie." I know others feel the same way, so to pass the time until the new album comes out, here's an exclusive premiere of the video for "Love/Hate," which has a fun, retro look, with a nod to the '70s -- complete with computer-generated effects showing the band's own love/hate relationship with the old and new. Blake Christiana, the band's co-founder and front man, wrote all the songs on the new album including "Love/Hate," with the exception of a co-write on one song with his buddy Shane Spaulding. "We were dealing with real life issues," Christiana explained in a release. 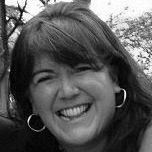 "Broken relationships, a sense of having to regroup and put some things and people -- behind us. The new songs became kind of a catharsis. Nothing was contrived. We didn't have to relate to it in the third person. We were living these circumstances, and that gave us the impetus and inspiration to share our sentiments. Ultimately those setbacks and difficulties led to new opportunities and allowed a little light to shine through. The album is all about re-evaluating relationships, making tough choices and sometimes skirting the rules -- a page from the book of the musicians they admire. The album opens with "Carolina Heart," an homage to the band's new home; the boldy optimistic "This is the Year" is juxtaposed by tracks like "Love/Hate" and "Now You're Gone," which detail the challenges faced when one's life is jolted off its bearings. Scattered throughout are playful tunes, like "Sweet Dolly," which pays tribute to Americana's first lady, the sweet-sounding epitome of reinvention and breaking the rules. After listening to it for the first time, I contacted Christiana because I was concerned about the state of his marriage. He assured me that he and his wife are just fine, that's just the place he goes when he writes. Turns out, he was writing about another kind of breakup. "This Is The Year" comes out of the band's re-forming following the departure of former co-founder Andrew Hendryx. I for one have found the new direction the band has taken has resulted in my favorite album of the band's yet. Give it a listen. I think you will agree. Since 2005, the former Brooklyn-based Yarn has received a Grammy nomination, nods from the Americana Music Association, placed top five on Radio and Records and the AMA album charts, garnered airplay on Sirius XM, iTunes, Pandora, CNN, CMT and they were the "Download of the Day" from Rolling Stone. They shared stages with superstars including Dwight Yoakam, Charlie Daniels, Marty Stuart, Allison Krauss, Leon Russell, and Jim Lauderdale, and performed at prestigious venues including Mountain Stage, Daytrotter, the Orange Peel, the Fox Theater, the 9:30 Club, South by Southwest and more. They have accumulated more than 1,000 shows, half a million miles and performed in 32 states. They've paid their dues and then some. For Christiana, bassist Rick Bugel, singer guitarist Rod Hohl and drummer Bobby Bonhomme, the band's sixth album is emancipation; a change in direction, a chance to express themselves just as they like. If you're not familiar with the band, come check them out performing with the incomparable Sam Bush at Rooster Walk 8 on May 26-29 in Axton, Virginia.